I have been thinking about this card for quite some time now, and I am glad it came out the way I imagined it to be. 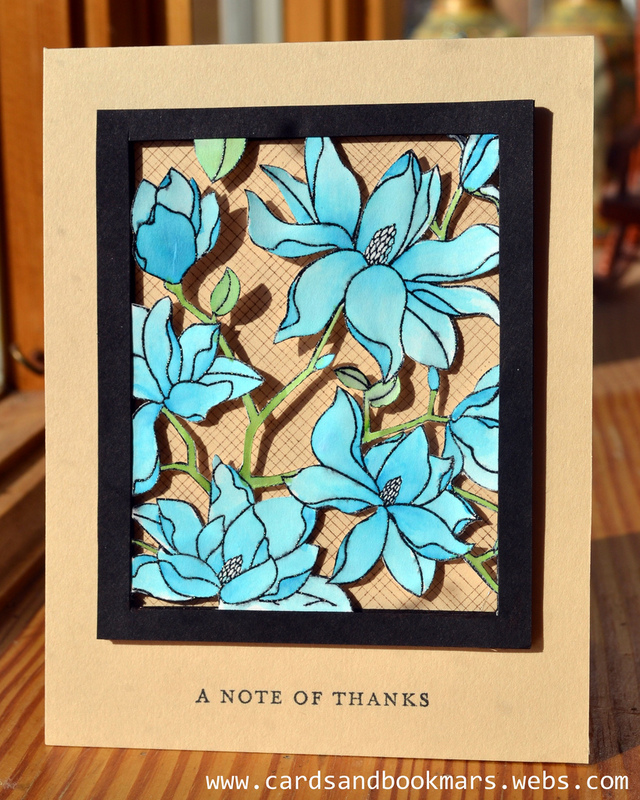 I recently got this flower stamp, and thought it was time that I made this card. Paper: Recollection ivory and black cardstock, Neenah solar white card stock. Inks: Close to my Heart topiary. Stapin Up! Tempting Turquoise, Ranger Black distress ink. Memento tuxedo black ink. Tools: Aqua paint brush, Stamp-a-ma-jig, X-acto knife, scotch foam mounting tape, Martha Stewart heat gun. I love your card. Thank you for showing how to make it.